New measures designed to speed up and simplify a nurse’s return to practice following a career break were announced today, and are due to be agreed next week. The proposals from the Nursing and Midwifery Council (NMC) would allow nurses and midwives who want to rejoin the professional register to take a competency test instead of a course. 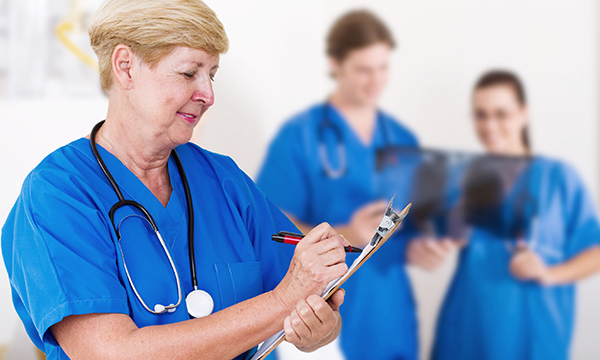 The ‘test of competence’ mirrors the assessment taken by overseas nurses wishing to join the UK nursing register, and provides an alternative to return to practice (RtP) courses, which can take 3-12 months to complete. Currently, nurses and midwives are required to complete an NMC-approved RtP programme if they do not meet the practice hours requirements when seeking to renew their registration, or they wish to be readmitted to the register following a period of lapsed registration. However, the location, timing and entry requirements have presented difficulties in accessing these programmes, leading the NMC to seek more flexible arrangements. Applicants can still opt for a RtP course but, as part of the changes aimed to make the process easier, the regulator will no longer stipulate the minimum length of such training. Instead, the length and content of the course will be determined by education providers, and include the flexibility to design training to help nurses return to their chosen area of practice, which may not be the field in which they qualified.